I received a wonderful treat today. 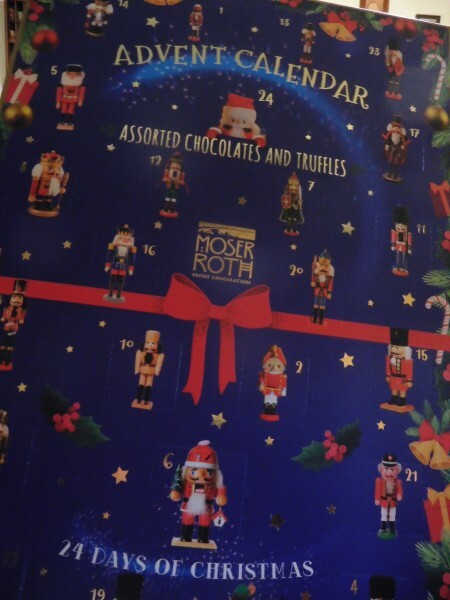 An advent calendar from my favorite chocolate company - Moser Roth. Of course it is December 4th so I guess I need to open four doors - right? It was/is. I did share a piece with hubbie rather than eat all four pieces in one night. 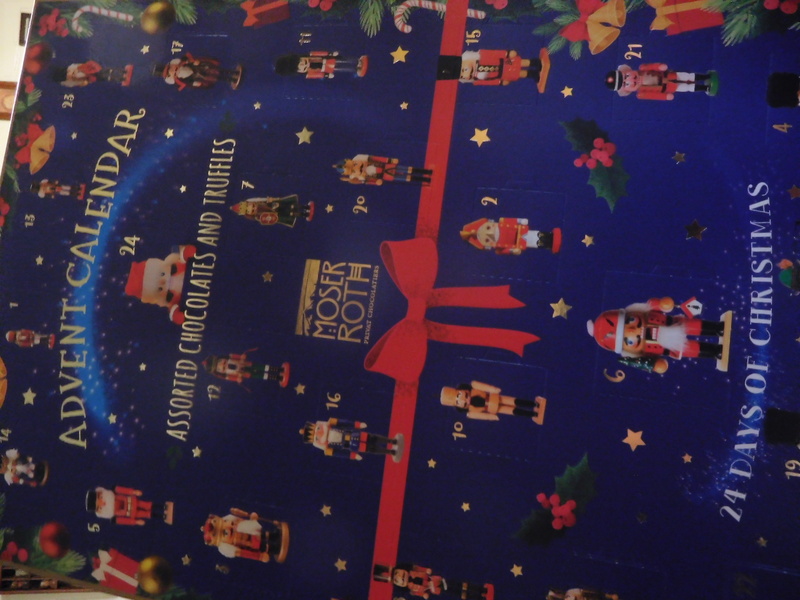 In this case it doesn't have to last the month and I'm limited to one piece per day (well, except for the first ones). I had to catch up.